Novelty Merry Christmas design toilet paper. 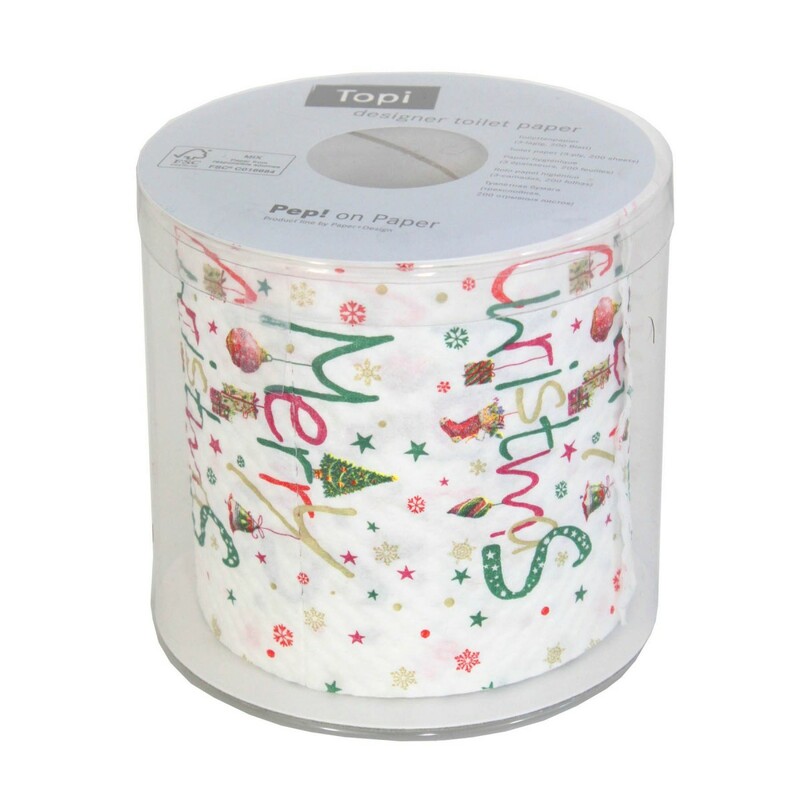 Brighten up the smallest room with this roll of festive toilet paper. 3ply 200 sheet rolls in an acetate tub.